It is duty of every one of us to learn the basic rules of roads safety. Some people say they do not have any vehicle then why they should learn road safety rules or traffic rules? 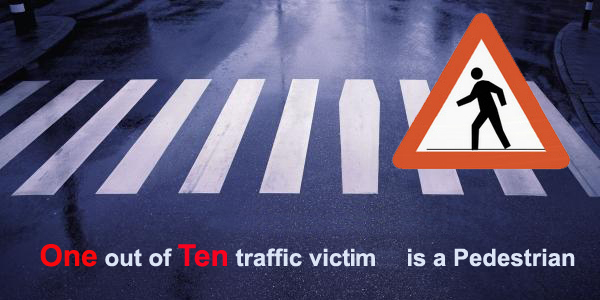 Statistics and survey shows that every 10th road victim is Pedestrian and according to some other report every 5th victim is Pedestrian. In road accidents half of victims are Children, pedestrian, cyclist and motorcyclist. Infect road safety is shared responsibility of all either you are pedestrian or driver. • First of all find a safe place to cross the road. You cannot cross road from everywhere it may be dangerous for yourself and for them who driving. 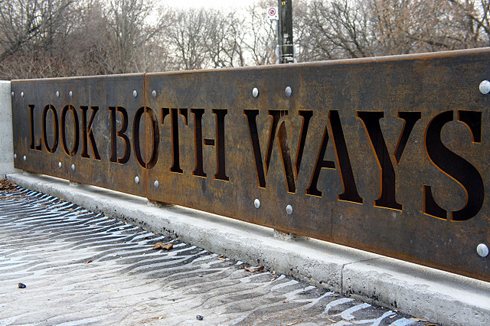 • Always look both sides before crossing a road. • Follow RLR rule. Look right, left and then again right. Because whenever you try to cross a road traffic be coming from your right side and it is 70% chance that you may get hit from your right side traffic. 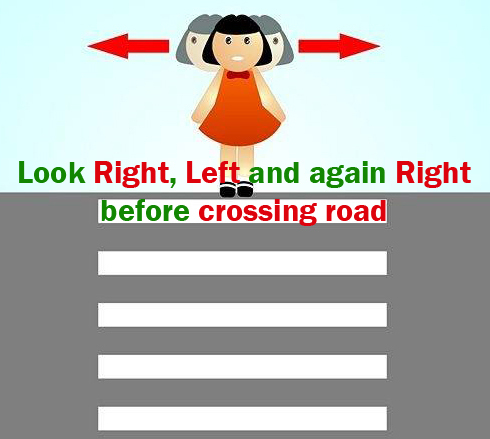 • If there is no footpath then walk in opposite direction of traffic so you can watching the traffic coming to you. • Avoid crossing road at curve/bends. • Don't take risk - If it is difficult to cross the road ask for help to your friend or traffic police warden.